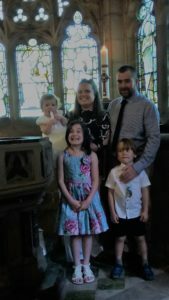 We are delighted to marry those who want to and are able to do so at this church, and to baptise children as well! Below are the details of how to book these services at Christ Church, Lancaster. Bookings are made on any Sunday between 9-30 and 10-00am at the church on Wyresdale Road. You may need to fulfill certain criteria, especially in the case of a wedding. ‘The Parish’ consists of all those parts of Lancaster covered in the following areas: Newton, Ridge, Freehold, Moorlands, Standen Gate and Standen Park, and the new developments around them. If this is you then please come along on a Sunday morning between 9.30 and 10.00. Please note: in order to book a wedding we will need to see proof of identity eg passport, and proof of address e.g. a recent bank statement or utility bill, for each partner. A deposit of £100 is also required. This is taken from the total cost of the wedding. How much does it cost? 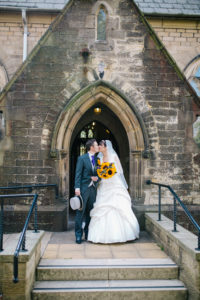 A wedding currently costs £669.50, inlcuding legal fees, organist, staffing, flowers and orders of services. Please contact the Vicar if you would like a church wedding but are working to a very tight budget. I’ve been married before. Can I get married at Christ Church? We will conduct weddings where one or both partners have been married once before. We will need to see an original copy of your decree absolute. If you have been married more than once then we may be able to marry you. Please contact the Vicar, using the link from the Contact Us page. If one or both of you are foreign nationals, including EU passport holders, please contact the Vicar, using the link from the Contact Us page. 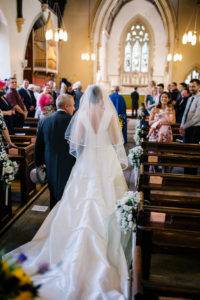 You may also like to visit yourchurchwedding.org for more information. If you are getting married in another church, but one or both of you live in this parish, we will need to call your Banns of Marriage. The Vicar marrying you will advice you of this. To have your Banns called at Christ Church please come on a Sunday morning between 9-30 and 10-00. We will need to see proof of identity e.g. passport, and proof of address: e.g. recent bank statement or utility bill, for each partner. Both people need to come and sign the from. A fee of £40 is payable once the Banns have been called and we issue you with a certificate. 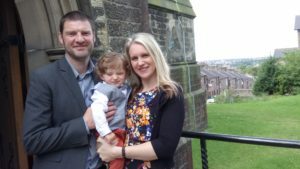 We will baptise any children who live in the parish, or whose parent(s) fulfill the wedding criteria above to do with family links with this church. Please come to the church on any Sunday morning between 9.30 and 10.00 to book a service with us. No appointment necessary. We want to be able to help you plan and prepare your special occasion, and do everything we can for it to take place here. You can contact the Vicar using the links in Contact Us for an informal conversation.